The Toro Dingo Diesel is Diesel Done Right. Our diesel Dingo TX models deliver what customers want: extra torque, big torque, torque torque and increased hydraulic flow for enhanced torque for better performance of ground-engaging attachments. The TX 525 offersspectacular hydraulic power, delivering 13.8 gpm and pumping 24 hp to the attachment, yet has a ground pressure as low as 3.4 psi. 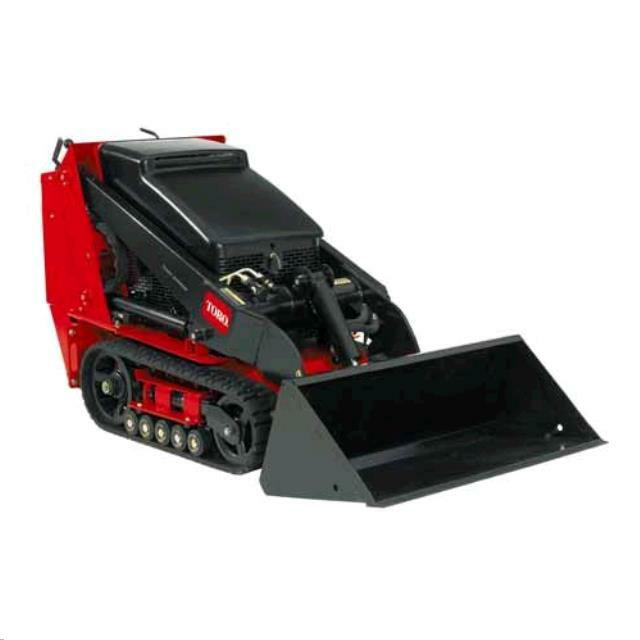 And because they're part of the full-line family, these diesels are compatible with all of Toro's compact utility loader attachments especially stumpers, brush mowers and trenchers. * Please call us for any questions on our dingo tx525 diesel rentals in Toledo OH and Perrysburg OH, serving the Toledo metro area.